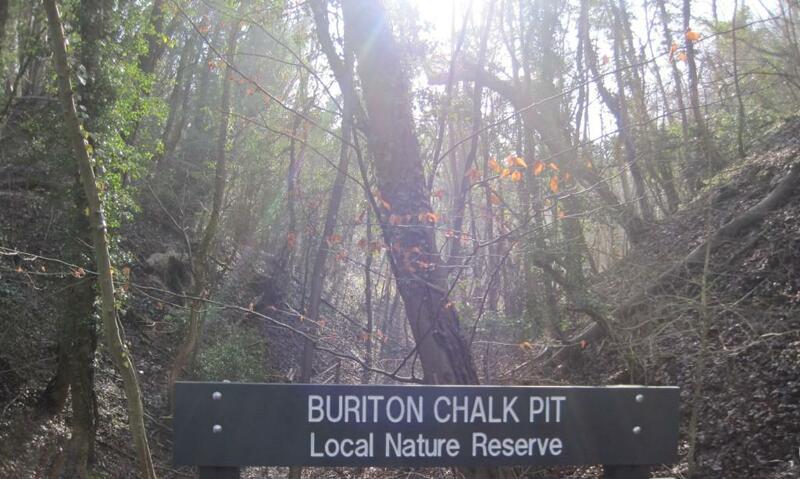 The impressive range of achievements that have been accomplished in the Buriton Chalk Pits Local Nature Reserve were formally recognised by a prestigious award by the Lord-Lieutenant of Hampshire in 2012. Professional Rangers from the Queen Elizabeth Country Park now supervise looking after the area. If you ever see any problems of damage, vandalism or misuse please contact the Rangers who will be happy to come to the site to sort things out. Simply phone QECP on 02392 595040 or for any urgent / out of office hours matters, please phone 07935 253 238. For forthcoming events in the Chalk Pits: please keep an eye open for any listings underneath the Latest News boxes to the right. Reports on previous events appear in the news items. There are two trails around this fascinating site - giving insights into the natural history and the industrial heritage. Leaflets describing these trails can be downloaded from the foot of this page in pdf format. Chalk has been quarried from the South Downs for hundreds of years. Although there are references to chalk being raised from the Buriton hills and taken to Portsmouth early in the nineteenth century, it is believed that BJ Forder commenced large-scale quarrying and established a limeworks in about 1860. For over seventy years up until the end of the Second World War there was a hive of industrial activity on the hillsides above Buriton village. Enormous amounts of chalk from three main quarries were excavated and burnt in a series of lime kilns. During the war the Admiralty used the site for enemy mine disposal and important mine countermeasures. At the end of the war much of the site was effectively abandoned, becoming an informal play area for local children. In 2007, when there had been a threat to close all public access to the site, the Parish Council made it clear that it did not want this to happen. It launched an initiative, with support from East Hampshire District Council and the Queen Elizabeth Country Park, and subsequently obtained a grant from the Heritage Lottery Fund to help look after the area. As you stand in the Chalk Pits today you can see the remains of the quarrying activity all around you. Chalk was taken from the hillside forming the quarry bowls as you see them today with their steep sides. The spoil that was left behind after the processing was piled up into the large lumps and bumps that form the remaining areas. Many of the paths follow the old narrow-gauge railway lines that were used to move the chalk and lime around the site. Abandoned and left to its own devices the site slowly regenerated over the years forming a rich habitat with a high level of chalk-based species. Such a large area of old chalk land habitat with so little recent disturbance makes the site of significance in Hampshire and it has been designated both a Site of Importance for Nature Conservation (SINC) and a Local Nature Reserve. 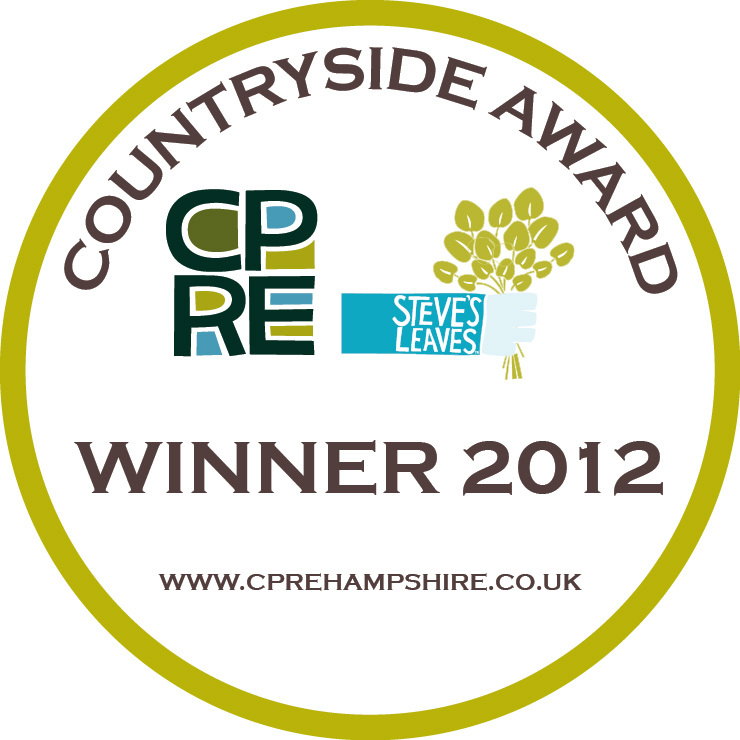 The site is now managed by a part time ranger based at the Queen Elizabeth Country Park. A programme of walks and talks for those wishing to find out more about the natural and industrial history of the site is run by the Country Park and Buriton Village Association. Volunteers carry out much of the maintenance of the site and we are always looking for new volunteers. If you would like to join us please get in touch via the Parish Council or Country Park. A complete survey of the site was undertaken as part of the project and a copy is kept by Buriton Parish Council. Car parking can be found at the Halls Hill car park in Queen Elizabeth Country Park, grid reference: 733197. There is limited parking in the village of Buriton. Public transport to the village is via bus 94 from Petersfield. There is a regular bus service that runs Mondays to Fridays. Cycling from Petersfield and Queen Elizabeth Country Park is good. From Petersfield travel along the Causeway and take the old Petersfield Road to Buriton. This is a narrow road so please take care. From QECP take the South Downs Way path to the Halls Hill car park, the entrance to the site is over the road and well signposted. There are two pubs in the village of Buriton, The Village Inn (located on the Petersfield Road) and The Five Bells. Queen Elizabeth Country Park is open daily from 10.00 - 4.00 and there is a cafe and shop in their visitor centre. Local B&B's can be found via the Tourist Information Centre in Petersfield. Sorry, no events to show.